It’s vital that young adults vote in the upcoming European elections and voice their concerns to politicians over climate change, Greta Thunberg said at the European Parliament yesterday. 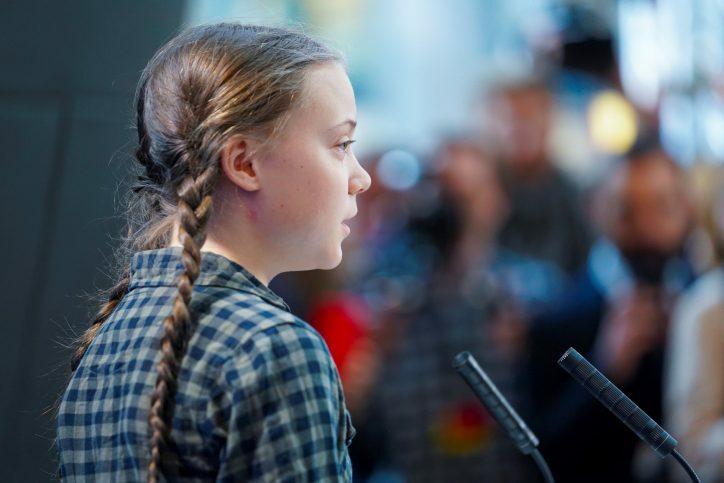 Speaking in front of the Parliament’s environment committee yesterday, Thunberg called on young people to vote in the next month’s election as “a good way for young people to influence law-making against global warming”. Thunberg said that she accepted the Parliament’s invitation to speak on behalf of the young people who share her concerns “about the climate crisis and ecological breakdown”. In August, Thunberg starting going on strike from school and sitting outside the Swedish Parliament to demand greater action on tackling climate change. Her actions sparked a global movement, culminating in an international School Strike for Climate Action last month. In Ireland, over 15,000 students from across the country took part to urge the Government to adopt immediate and effective climate policy. She said that young Europeans students “should be very proud of themselves” for their role in the climate strikes that are taking place every Friday across the continent. “We still have an open window that is not going to be open for long in which we can act so we need to take that opportunity to do something,” she added. “It’s especially important for those who actually can vote to use that in order to speak on behalf of people like me who are going to be affected very much by this crisis. “You need to listen to us and vote for us. What we are doing now cannot be undone. Yet, some parties don’t even want me to talk here today because they do not want me to talk about the climate breakdown,” she said. Last month, three political groups invited Thunberg to address the Parliament at its plenary session, but the invitation was vetoed by the ALDE and EPP groupings of which Fianna Fail and Fine Gael are members respectively. Sinn Féin MEP for Dublin Lynn Boylan said that she was “delighted” that Thunberg was allowed to address MEPs yesterday. “I hope that the politicians heed her message,” she said. “I stood with the student climate strikers in Dublin and was inspired by their passion but also by the level of awareness that the young activists had,” Ms Boylan added. Earlier this month, young citizens on the frontline of climate activism took centre stage at an event in the Parliament offices in Dublin to tell MEP candidates what needs to be done to tackle the crisis of their generation. 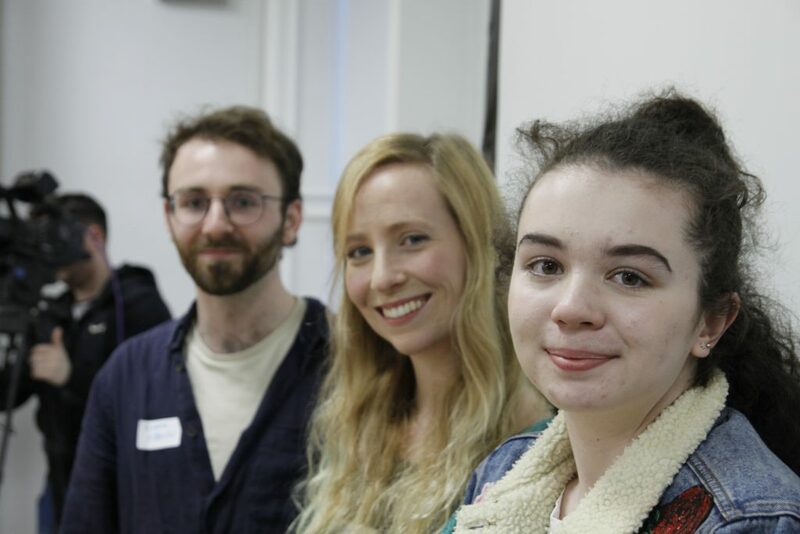 Ms Boylan, all three Green Party candidates, Alex White of Labour and other candidates were in the audience to hear from the likes of Beth Doherty from the School Strikes for Climate movement. The 15-year-old Ms Doherty said that she wanted to gauge if candidates have plans to implement “radical climate action rather than just empty promises” and improve Ireland’s record as one of Europe’s worst climate performers. “We’ve striked for our futures, for climate action, to be listened to and we need the MEPs- candidates and elected- to listen to this. They cannot go into this election ignoring climate change and putting forward no climate policy,” she added. Pillar coordinator Michael Ewing said: “We need a fundamental rethink of the kind of Europe we want to really bridge the gap between the EU and what its citizens want in terms of environmental and biodiversity protection. “Citizens are crying out for a vision for the future of Europe that puts climate action, biodiversity protection and environmental justice at the core of the bloc’s policies.”.